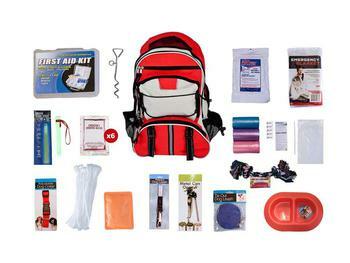 This Dog Survival Kit is packaged in a Multi-Pocket Hikers Backpack and has been designed to provide your pet with all of the necessary items to survive if you are ever forced to evacuate. By purchasing this canine survival kit, you will have peace of mind knowing that your dog will be safe and comfortable in any type of disaster. Hand-assembled in the USA.